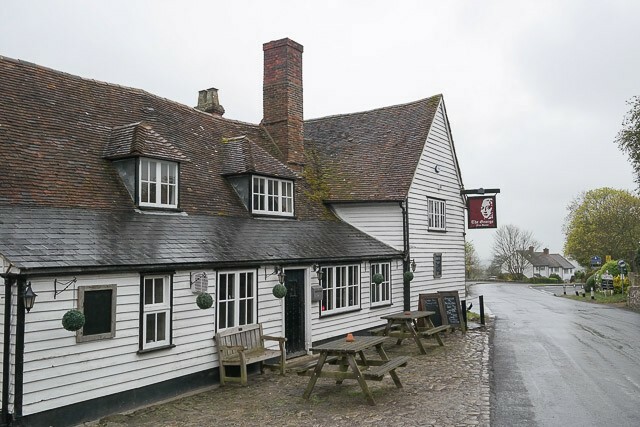 My father had moved house recently and The George is situated close by; so when the opportunity to visit him came up, of course we had to try out the local! 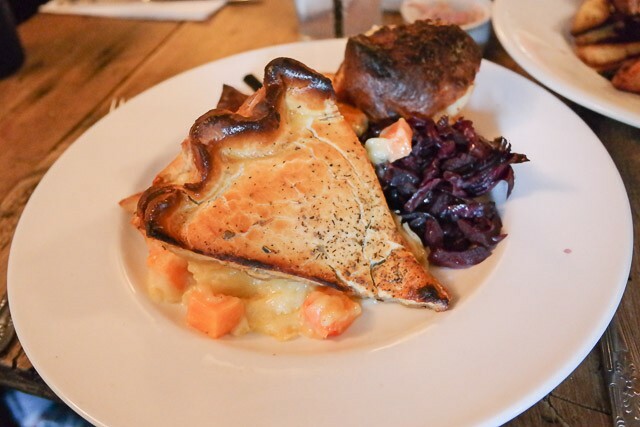 The George in Egerton is situated in the village and is a quaint old building with exposed Tudor beams. Our table was in the corner, close to the bar. I had a walk around the venue during our lunch and noticed a pool table, dart board and also a restaurant area too (we were sitting in the pub section as there were quite a few of us). The Sunday roast menu on the wall, table laid out with paper napkins and cutlery. We skipped starters and went straight for the main course. Claire ordered a lamb for herself and a child’s one for JW (our toddler). I had to order the mix platter of roasts! Service was a bit slow but that could be down to the fact we had a table of 12 to look after! 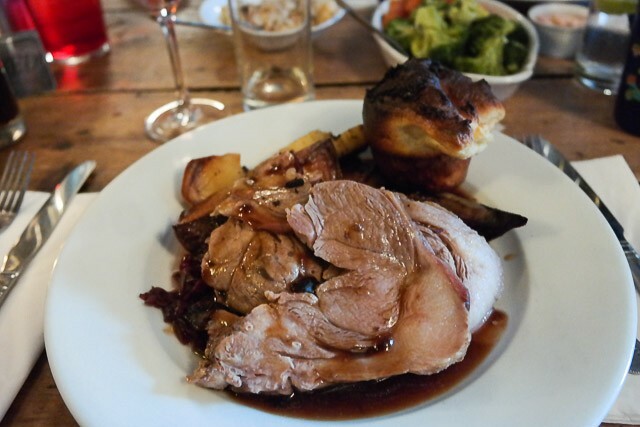 The serving size of the Sunday lunch was HUGE! 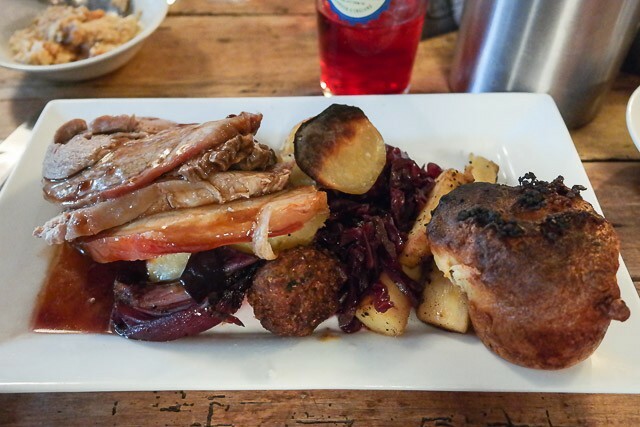 4 very thick slices of meat (beef, lamb and pork), 3 roast potatoes and a yorkshire pudding. 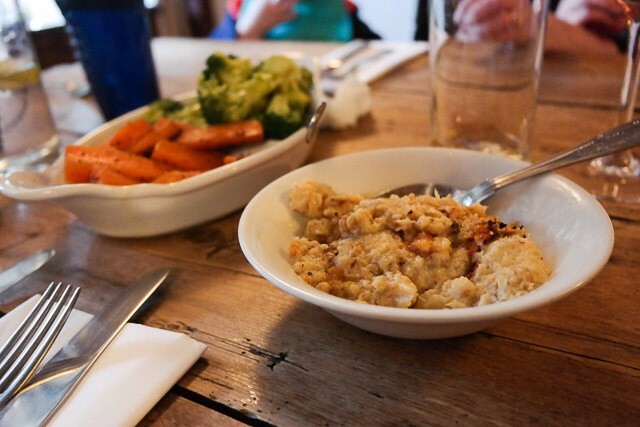 We had cauliflower cheese and a dish for vegetables too – including carrots, broccoli and parsnips. It all tasted good although I had to order some more gravy. Unfortunately, due to time constraints, we had to skip desserts (I was sorely tempted with Summer Pudding!). We didn’t need to use any baby changing facilities, so not sure if they had some. We did take advantage of the small children’s play area outside though, which was a nice place to wait whilst our lunch was being prepared. JW’s lunch was a good size and he certainly enjoyed it. Overall, a good place for families. 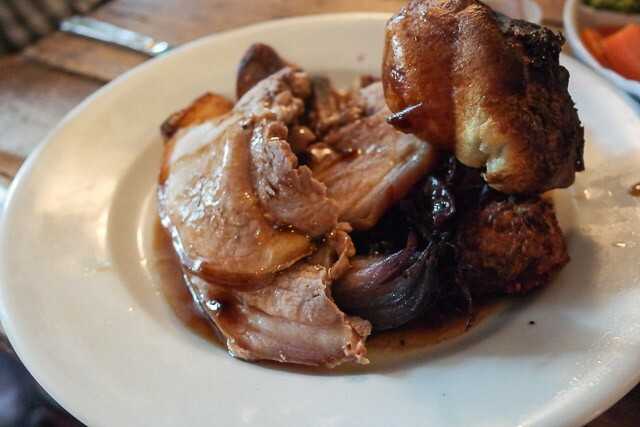 I enjoyed our Sunday lunch at The George. The building had a good atmosphere and the staff were friendly. The food serving was extremely large with 4 slices of meat for the medley (Claire had 3 slices). I liked the fact they had a play area for our restless toddler. It was a nice touch that we received some mint chocolates to finish our meal. 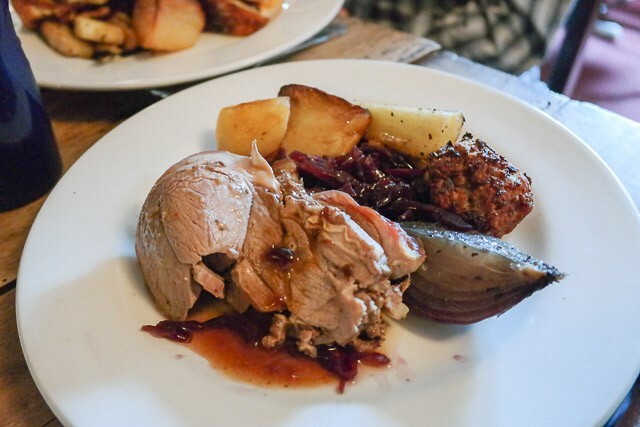 Overall, if you live in the area, it would definitely be worth visiting The George in Egerton.